I bet you were expecting a “Call to Action” button. Right here on the header image. Yeah.. as if. We are a team of dedicated Digital Marketing experts, Social Media specialists, Web developers and designers. Collectively, we are a ROI oriented, holistic digital marketing agency, oriented towards business success. You’ve demonstrated Google Ads expertise and earned your Partner status, badge and benefits. Google Ads and Bing Ads. Google named us their partner due to our expertise. Facebook, Instagram, Twitter, LinkedIn, you name it. ROI is the name of the game. One word – backlinks! And we are really good at doing those, ask Google. From a simple newsletter down to intricate automated multilevel chart. From Landing Page design to complete website overhaul. We got you secured. Growth hacking at it’s finest. Making online communities of die-hard fans. Conversion rates and sales funnel optimization. Test, test, and test! And guess what? That thing you need us to do – we already did it! That project you want to bring us in for? Coincidentally, we already did it. Multiple times, in fact. Some people call it a profession. Steve Zedd have worked for us on lots of digital campaigns over the last two years. It’s quite tough to understand pay per click, but Steve always makes it easy to understand what’s going on and has always had his eye on the prize. Very nice to work with. 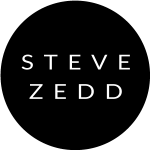 We opened our Hotel in the spring of 2018 and we decided to work with Steve Zedd agency. They have been amazing help and the results speak for themselves. We surpassed our business goals and had 600% return on investment. I would recommend these guys to everyone I know. E-Commerce was a big challange for us but Steve Zedd made it so simple. They built our website and now they improve it and do marketing for us. It’s like an army of experts working for you.